The best snacks are ones that are EASY and make your taste buds dance in your mouth! 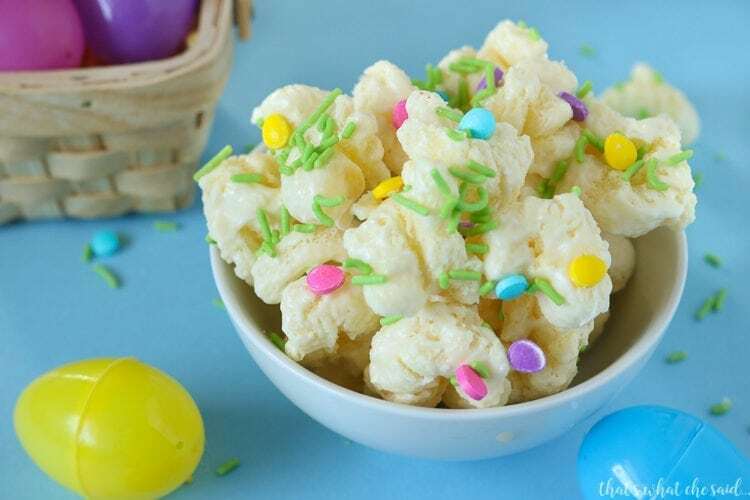 Easter Puffcorn Crack is just that. A salty and sweet collision in your mouth but only minutes needed to whip up a batch! I am a fan of the sweet and salty mix. I love, love, love Pretzel bites and make them for almost every occasion I can. Even just on Tuesdays for no reason, lol! 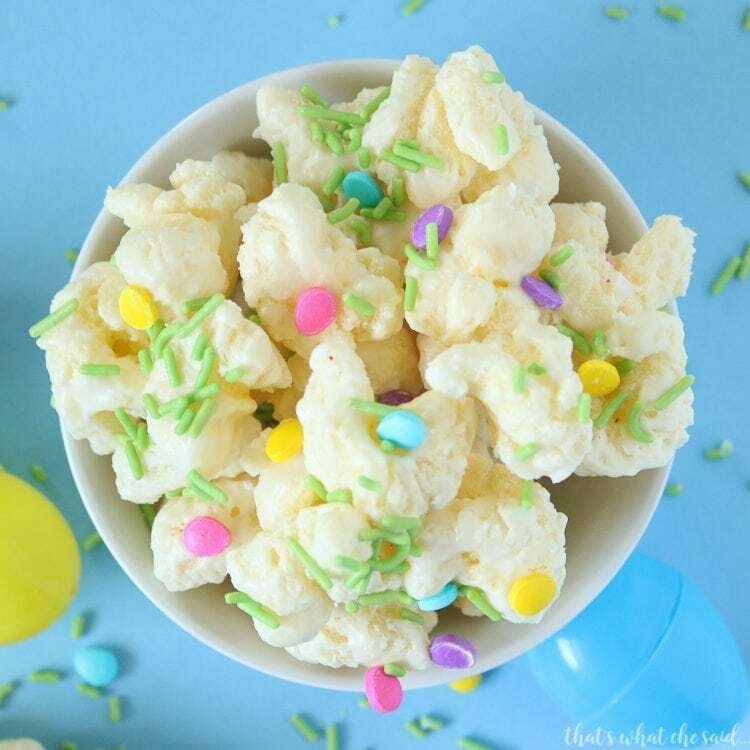 This puffcorn crack recipe is the same idea. 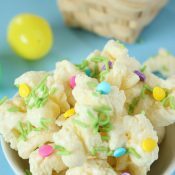 I realized after I posted my St. Patrick’s Day Puffcorn Crack recipe that it puffcorn must be a midwest treat?! (You can get it on Amazon don’t worry!) Puffcorn is like a cheese puff but with no cheese on the outside. 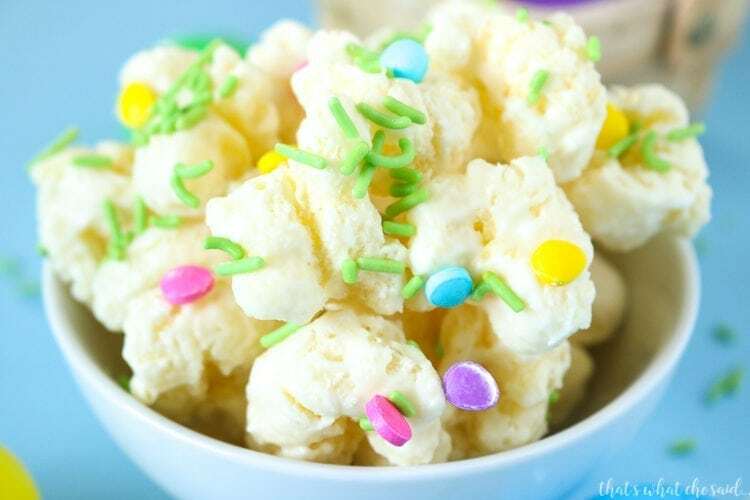 It tastes like popcorn but with no kernels or kernel shells! That is my one hate with popcorn and this omits that which makes it one of my favorites! Why do you call it Puffcorn Crack? We call it crack because it’s addicting! It’s a guilty pleasure on steroids. You eat it once, you have a hard time stopping because it is just that good! How do you make Puffcorn Crack? Well I am so glad you asked! I have my full recipe and directions below! It’s so easy that I am basically feeding your addiction here :) Melt white chocolate (use the good stuff!) pour it over puffcorn, spread out on a cookie sheet to cool. Enjoy!